In rural Tennessee, in the years leading up to World War 2, a boy named John Wesley Rattner’s father doesn’t return home one night. He was killed by a whiskey smuggler named Marion Sylder. The boy and outlaw meet after a car wreck, and neither knows their connection to the other. Nearby, an old man watches over the remains of a body. Reading this novel was strange. The actual writing was, as is to be expected for McCarthy, distinct and powerful, but the story itself just dragged and dragged. The characters were fleshed out and felt distinct and interesting, but there was just no pull to their narratives. I think it was a pacing problem. 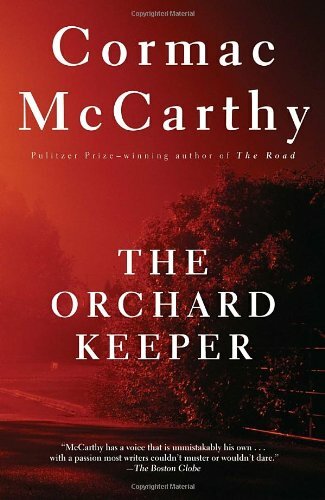 The Orchard Keeper is obviously heavily influenced by Faulkner, with its interweaving stories and bizarre structure, but lacking the precision. This makes the novel feel at times incoherent. When it’s good it’s great, but the majority of this book feels watered down by its weaker elements and as such can feel like a slog. It’s definitely my least favourite of the McCarthy novels I’ve read.